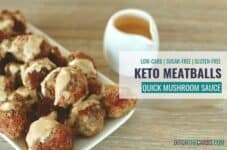 These Keto meatballs with mushroom sauce are crazy good and are so simple to make for the keto-lifestyle! 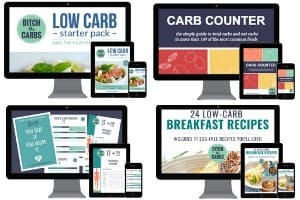 In no time at all, you’ll have an amazing Keto meal that your entire family can enjoy! Plus, making meatballs together as a family is always a lot of fun! Trying to think of new recipes on the fly for dinner isn’t always the easiest. The good news? You can keep this keto meatballs recipe in your back pocket and make it with ease for any type of meal. 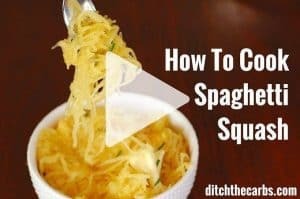 Keep it light during the evening and serve the keto meatballs with a salad or add it to some zucchini spiral noodles (a.k.a zoodles) for a “spaghetti” dinner that will give your taste buds a true treat. Your kids are sure to love this. When you have the chance to make and eat meatballs, there’s really no wrong way to do it, right? The great news about making these low-carb meatballs is that you don’t have to put in a lot of sweat and tears. The healthy grain-free recipe is simple, but the outcome tastes like a million bucks. When you’re cooking up the meatballs, remember to make certain that you’re cooking them thoroughly! Always cut one in half to check 100% they are cooked in the centre. How you decide to serve the gluten-free meatballs totally depends on the person eating the meatballs. Some like to eat them plain while others like to spice them up a bit! Adding a dab of hot sauce can really take these keto meatballs to a whole other level. And if you want to really elevate their taste, pair them up with some steamed vegetables or even mashed cauliflower (plus with the delicious mushroom sauce, EVERYTHING truly tastes amazing!). 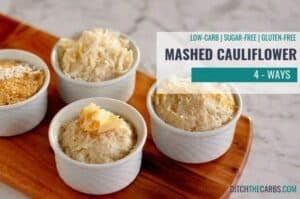 CLICK HERE to see how I make mashed cauliflower – 4 ways. Ready for this delicious Keto meatball and mushroom sauce recipe? I know my taste buds are raring to go! 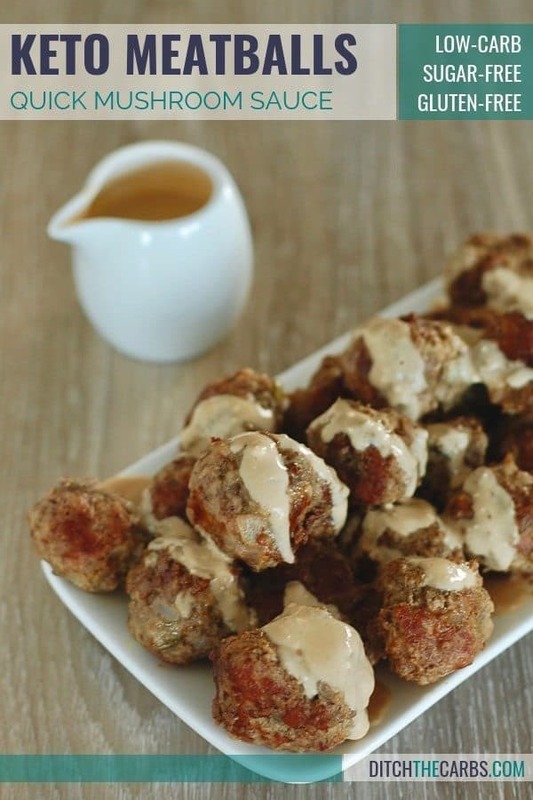 Keto meatballs with mushroom sauce. Keto meatballs with mushroom sauce, that is quick and easy the whole family will love. Place all the ingredients into a large mixing bowl. Mix thoroughly with your hands, or a spatula. Grab a golf ball size of the meatball mix, squeeze together, then form into a meatball shape. Continue until all the meatballs are prepared. You can cook these keto meatballs two ways. 1) Fry gently in oil on all sides until cooked into the centre. 2) Bake in the oven at 180C/350F for 15 minutes (turning once so they brown all over) for 15 minutes, or until cooked into the centre. In a small saucepan, gently fry the sliced mushrooms in oil until cooked and soft. Make sure any water that comes out from the mushrooms, evaporates. This just ensures a nice thick mushroom sauce, not too watery. Add the cream cheese and the stock to the mushrooms and gently heat together whilst stirring. Gently heat until ALMOST boiling. Serve the keto meatballs on a bed of zoodles, mashed cauliflower or spaghetti squash. Drizzle with mushroom sauce and enjoy. Nutrition panel is for keto meatballs and mushroom sauce only. 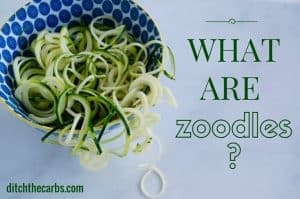 Zoodles or mashed cauliflower, are additional. What is your favourite way to serve keto meatballs? I’d love to hear your thoughts! Leave a comment below. Thanks for the great recipe Libby -making them now. Just curious as mushrooms are really good at soaking up liquids, how much oil you used to cook mushrooms with as that will substantially add to the fat macro? 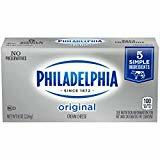 I’m from the USA so don’t have the slightest idea how to measure your ingredients that are in grams. Also, what does ml stand for in the beef stock? ?